MaTeMù is the Youth Centre and Art School of Municipal District Rome 1. It has been created by CIES Onlus and managed by it since 2010. It is a place where young people can get together, encouraging artistic and cultural growth, a place where people listen to each other, receive help and counselling and, finally, have fun together. A place where ideas and new possible futures are born. It is a place where young men and women of all cultures and backgrounds can express their creativity, enjoy their free time, find someone who listens to them and supports them. It is a place where all difference is seen as a value and an input to find new possibilities. It is a workshop of new ideas and initiatives, a free space where you can get together and create new ways to express yourself, enjoy recreational activities, get some support with school work and help when you need it. Our Centre completely free and organizes a wide range of activities for adolescents and young people. 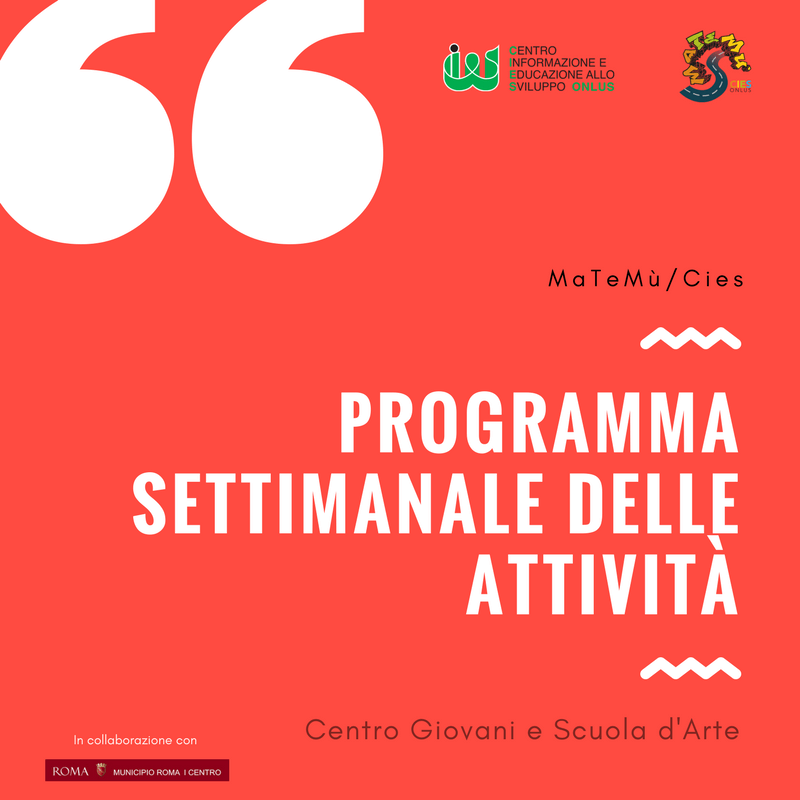 At MaTeMù, associations, individual residents who would like to live as “active citizens”, and artists, can get together and work with and for young people and contribute to the common good of their city. 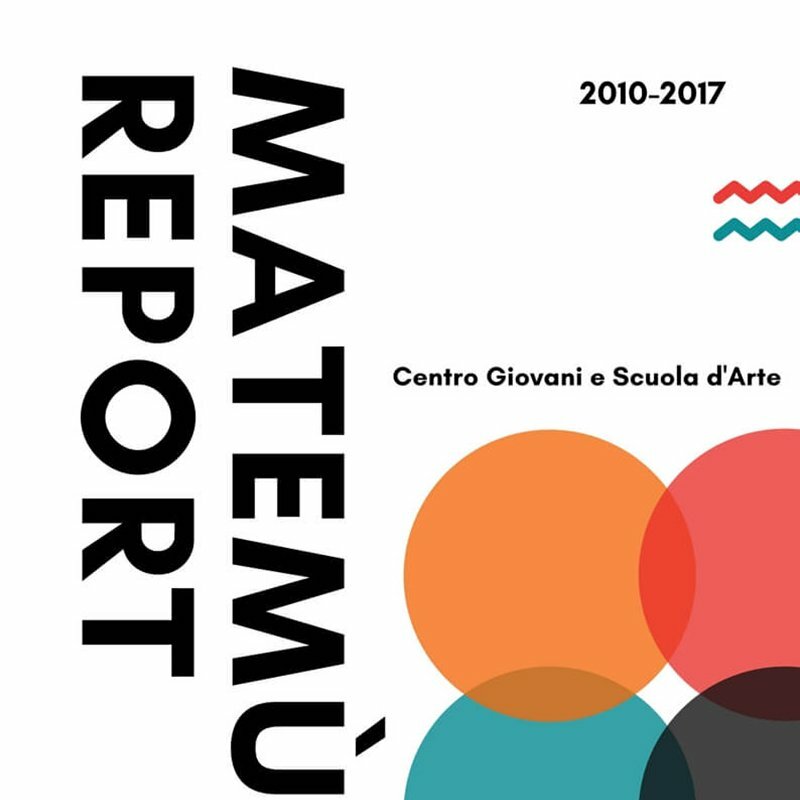 Every day, MaTeMù hosts more than 60 young men and women; it has counted more than 2,000 active users over its 8 years of life.